There are only 11 platinum projects globally, including in the U.S., Australia and China. There are currently five WELL Certified projects in the UK, three of which are gold and one of which is silver. The Crown Estate’s head office, located on the first and seventh floors of the Make Architects designed building at No 1 St James’s Market, has taken several steps to secure accreditation. The office layout maximises access to natural daylight for all desks to support circadian rhythms, and the majority of the desks allow people to sit or stand. The Crown Estate is also aiming for WELL Certification for a further two buildings in central London, both the Marq on Jermyn St as well as 1 Heddon St. It has also produced a guide to sustainable fit-out. EDGE Architecture and Design worked with The Crown Estate on the project. 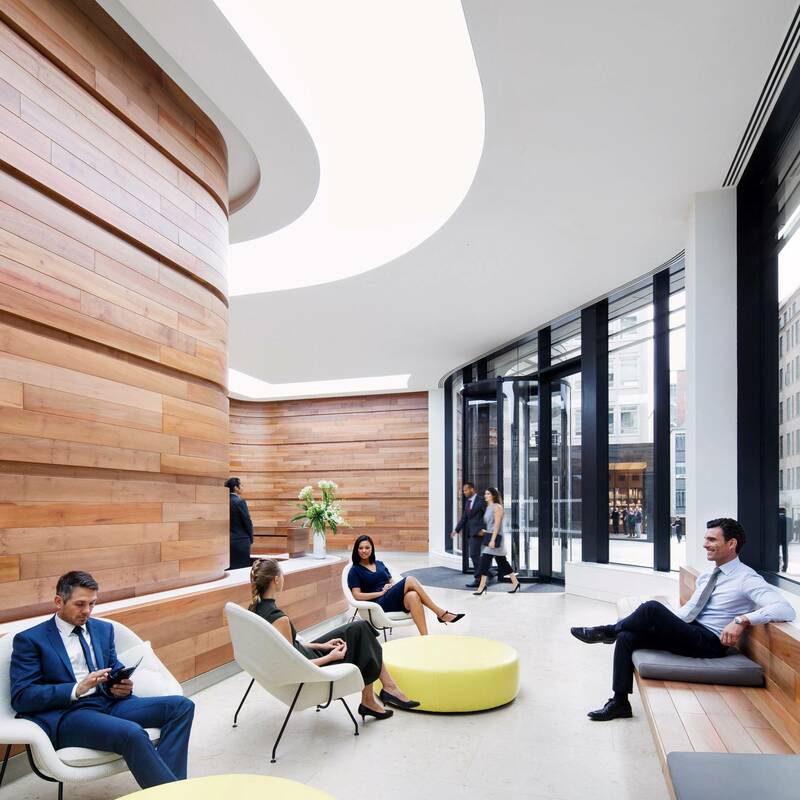 Other key members of the design team were sustainability consultants, Cundall; project managers, Buro Four; building services consultants, Watkins Payne, and cost consultants, Alinea. • High-quality base build features including fresh air rates, visible stair case, acoustic performance, and the location of the building to local amenities, local parks and public transport. Judith Everett, Chief Operating Officer at The Crown Estate commented: “We are all delighted that our Head Office in St James’s Market has become the first office in Europe to achieve the Platinum WELL standard. 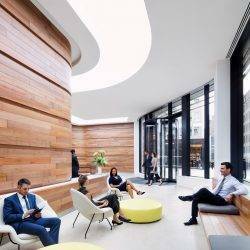 When we moved to our new offices we wanted to deliver the very best environment for the people who work at The Crown Estate, and this accreditation shows we achieved that. The WELL standard has changed the way we, as an industry, think about how we can have a positive impact on the people who work in our buildings.